Color Sensation is a rich, non drip creme formula with a precision haircoloring brush included for comfortable application. 3) Apply gloves, squeeze colorant into developer bottle. 5) Start applying color at the roots, then away from roots to the tips. Use brush for more precision. 5) Start applying color at the roots, using the brush for more precision. 6) Leave formula on for 20 minutes or 35 minutes if you have lots of gray hair or resistant/coarse hair. 7) Spread the remaning mixture through your ends and leave on for an additional 5 minutes. Rated 1 out of 5 by Brittanydanielle from Not as expected I bought this hair dye last night; my hair was previously bleached and toned but I waited a month before doing anything and touched up my roots and the top portion of my hair with the light blonde box. 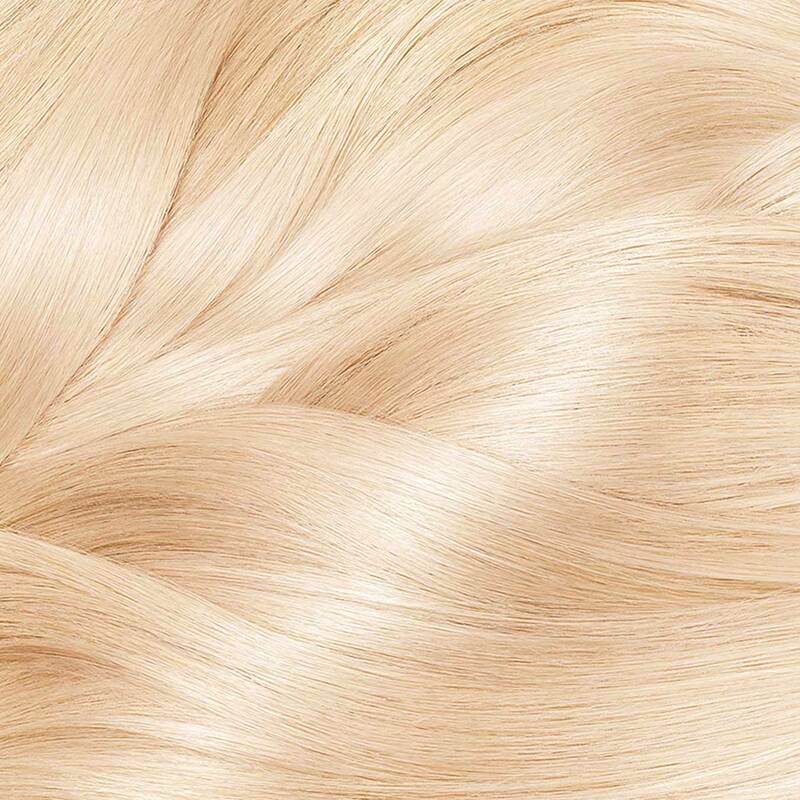 The light blond parts turned gray, the roots turned slightly brassy and same with the bottom. I don’t know how to fix this and if anyone has suggestion please let me know! 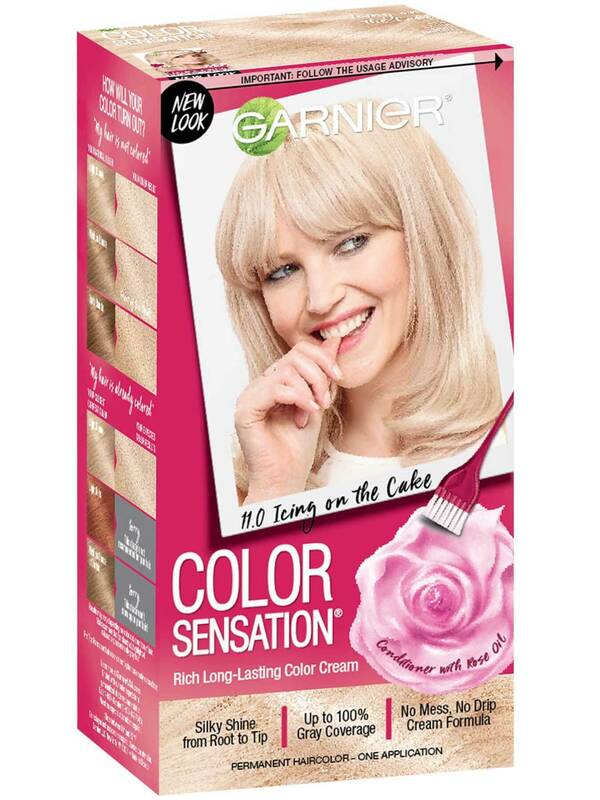 I wouldn’t suggest this if you have bleached your hair prior. Rated 1 out of 5 by christylynn from Gray, dull hair now I dyed my hair before spring break and it's just duller looking and gray now. The color didn't work but there's definitely dryness. I was a natural blonde beforehand so it should've worked. Disappointing to get the damage but not the color. Rated 5 out of 5 by Brianna37 from LOVE IT I used it to tone my brassy orange hair and my hair came out the way I wanted. White/platinum. I highly recommend this product. And for the price. You can beat it. Rated 1 out of 5 by Jenn 70 from Turned my hair BLUE!! My hair is blonde. I was originally trying to find the shade natural blonde and not one store sold the shade. I was stuck buying natural blonde extra light blonde . It turned my hair BLUE! This is UNACCEPTABLE!! It's already expensive enough. Waste of money, NEVER AGAIN! Garner, you lost my business for GOOD! Rated 1 out of 5 by Sassie from My hair turned yellow!!!! I wish I'd have bought one of the brunette or auburn shades, instead of blonde. The name of the hair dye is a tad misleading. It's actually yellow, not blonde.